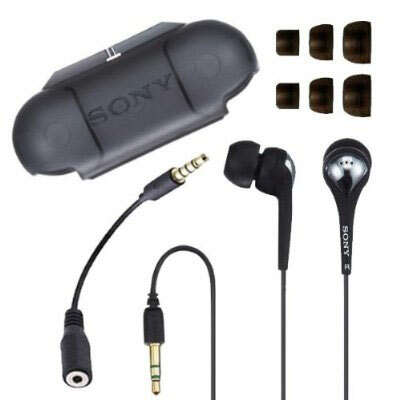 Nearly a year ago, I mentioned how my Sony Fontopia EX71 earbuds refuse to die. Well, that is no longer true as the right earbud has failed. This makes perfect sense. A few months ago I spotted the earbuds at a ridiculously low price over at Amazon, and regretfully neglected to pick up a backup pair. I checked for a loosened wire, but after stripping away some of the rubber stress relief, I realized that the failure must be in the earbud itself, and there’s now way for me to get in there. So… it’s time to search for replacement earbuds. Reviews for the Klipsch Image S4 and Shure SE115 are promising, but I may go back to Sony seeing as the EX71s lasted me over 6-1/2 years. « New Spiderman Movie Costume Sneak Peek! I’ve actually owned a few pairs of these EX71-SL phones. They seem to last around 3-4 years each and then eventually all the accidental yankings accumulate in that y-split area and one of the sides stops working. Either that or eventually they just get sweat on too much. Decent earphones that block out just enough sound that you’re doing better than the stock headphones for most MP3 players, but not so much sound as to make them dangerous to use when walking around when traffic is near by. I’ve a pair of the Altec Lansing UHP 336 headphones that I use when exercising as they passively cut out massive amounts of external noise—though I’d fear using them on the street for that reason. They’re apparently a rebranded the Ultimate Ears Super.Fi 3, but at a fraction of the cost (about half as much—even lower cost if there’s a special deal on them) . In the year or so that I’ve had them they seem to do pretty well, but I’ve noticed that they skew a bit more towards the treble than the bass when compared to the Sony Phontopia EX-71SL headphones (which favour bass a bit more).